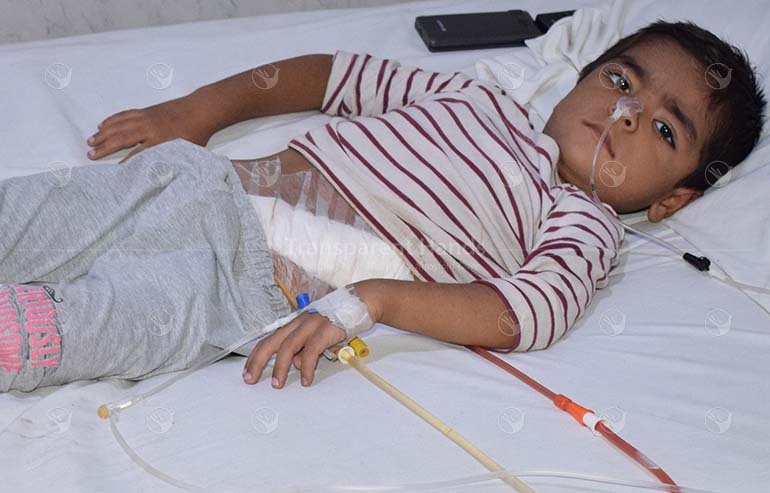 Abdul Wahab 10 years old boy had his colostomy made in an emergency surgery on 14th day of his life for intestinal obstruction due to Hirschsprung’s disease. He was advised another surgery to reverse this temporary opening for passage of stools. His surgery was done in Akram Medical Complex on 25-10-18 by Dr. Naveed Haider. His colostomy was closed by Duhamel pull through surgery and intestinal continuity was restored. His postoperative course was complicated by anastomotic dehiscence for which his re-exploratory laparotomy was done. The intestinal anastomosis was repaired and reinforced. He stayed for 11 days in hospital. His condition improved and he recovered well. He was discharged in good health.